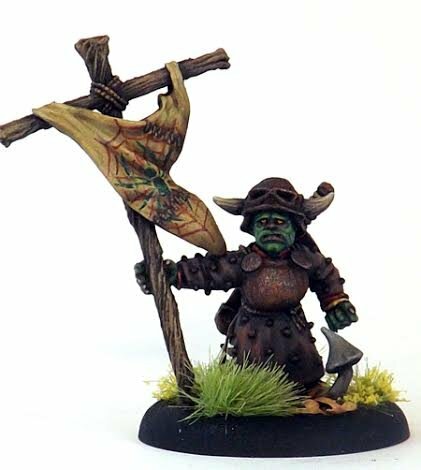 A 28mm sized metal figure, supplied unpainted. The standard is made of metal. Comes with a round slotted plastic base.